Here is our official video to help kickoff our fundraising efforts. 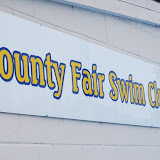 We hope this video will encourage you to donate to help raise funds for the County Fair Swim Club. Your dollars will make a difference in a child’s summer. Previous Article Why Are We Doing This?